The market oriented degrees together with knowledge, skills, attitude and professional ethics is the strength and core value of the successful graduates who have attained the status of international citizens as they can apply their knowledge across the globe. 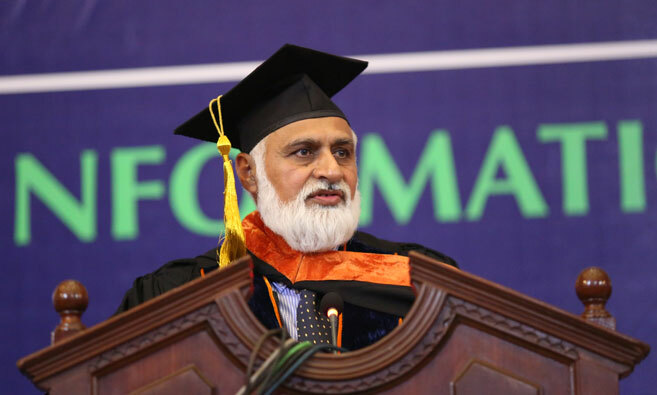 Dr. Niaz Ahmad Akhtar Vice Chancellor Information Technology University (ITU) Punjab expressed while addressing the second convocation of ITU here today. He said that the ITU graduates have market value as presently for 1500,000 students, the available faculty is 40, 000 whereas the requirement is 75,000 in Pakistan. Pakistan being part of the global village has enormous opportunities for our educated skilled youth as 90 % of the graduates have got jobs within and outside the country, he added. Dr. Akhtar urged upon the students and the faculty to get publish their research work in national and international journals, which would be rewarded to the faculty and for students’ waiver of tuition fee. 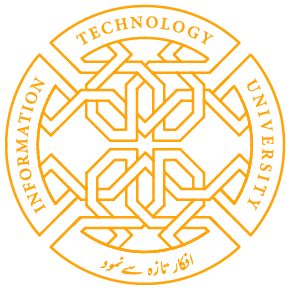 ITU’s resources, infrastructure, addition of new subjects were playing major role in its uplift and turning it to a general university, he stated. In the second convocation of research focused University, established in 2012 the VC ITU awarded gold medals among the high achievers and conferred degrees of Computer Science, Electrical Engineering and Executive Master in Business, Innovation, Technology and Entrepreneurship among the graduating students, enrolled in the Bachelors and Masters programs. The high achievers who were awarded Gold Medal include Mohammad Asim Iqbal BS Computer Science, Reuel Sabir BS Electrical Engineering, Hammad Tahir MS Computer Science, Muhammad Asim MS Electrical Engineering and Ahmad Ali Raza Executive MBA in Innovation, Technology and Entrepreneurship. Farzana Shahid Director Acedemics informed that a number of 181 students got their degrees in the second convocation, which includes 61 of BSCS, 56 of BSEE, 12 of EMBITE, 43 of MSCS and 9 students of MSEE. In December 2017, 139 students were declared successful in the first convocation, she said. ITU has been awarded ‘W’ category by the National Computing Education Accreditation Council (NCEAC) and an endorsement from the Higher Education Commission (HEC), which is the highest ranking a university can achieve with regards to academic and research prowess and is awarded only to those institutions which meet the requirements as proposed by the governing bodies. A large number of media representatives, academia, students, members of the Syndicate and MPAs attended the event. Share the post "EDUCATION SHOULD IMPACT SOCIO ECONOMICS OF COUNTRY-VC ITU"